The SIL HV single in-line series is a high voltage reed relay and instrumentation grade reed relay supplied in an epoxy encapsulated package capable of switching up to 1kVDC and breakdown voltage of 4kVDC. This high voltage reed relay series features an insulation resistance >5 x 10^12 Ω and utilizes minimum PCB area, at only 50% compared to our DIP and DIL reed relay series. 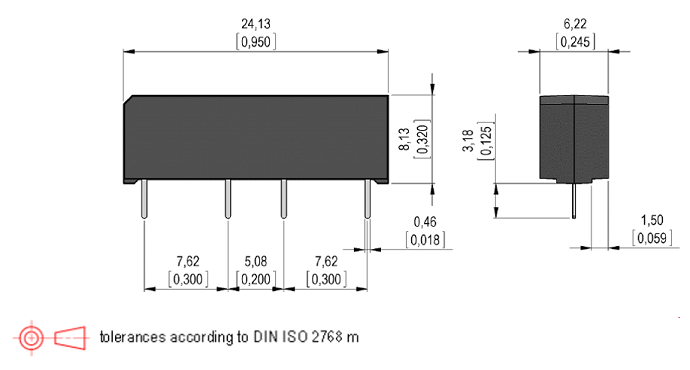 High voltage/high insulation open-frame HI Series Reed Relay with high leakage distance. High Insulation Resistance (IR) >10^14 Ω.